John Nieto-Phillips knows what it's like to be a first-generation college student. Nieto-Phillips -- who on May 15 will become Indiana University's new associate vice president for OVPDEMA and IU Bloomington's chief diversity officer and the vice provost for educational inclusion and diversity -- grew up east of Los Angeles, the youngest of seven children. The son of a machinist and a nurse, Nieto-Phillips counts himself fortunate to be a university professor today. As a high school student, he wasn't sure he would even go to college, because he didn't know how to pay for it. But an athletics scholarship in track led him to the University of California, Los Angeles. After completing his bachelor's degree at UCLA, he earned master's and doctoral degrees, also at UCLA. He taught at New Mexico State University before becoming an associate professor in IU Bloomington's Department of History and Latino Studies Program in the College of Arts and Sciences. He has been published widely and earned numerous grants and teaching awards. In 2015-16, he earned a Fulbright Senior Research Grant in Madrid. Based on his own experiences as a first-generation college student, and on his research into Latino histories and cultures, Nieto-Phillips knows how important it is to remove barriers to college for underrepresented students from all backgrounds. He will continue pushing forward IU's many programs to recruit and retain diverse faculty and students. "I want to help grow possibilities for other people," he said. Nieto-Phillips has already been working on issues of campus inclusion, having served as vice provost for faculty development and diversity in the Office of the Vice Provost for Faculty and Academic Affairs since January 2016. In that short amount of time, Nieto-Phillips has made positive changes on matters of faculty recruitment and retention, said IU Bloomington Provost and Executive Vice President Laruen Robel. "John has done a phenomenal job of ensuring that our commitment to diversity in our faculty hiring practices is backed up through effective processes," Robel said. "His coordinated work with deans and faculty throughout campus has directly increased the number of underrepresented faculty being recruited to our campus -- and his work on ensuring these faculty members have opportunities for growth and development is helping to keep them here." Nieto-Phillips replaces Martin McCrory, who recently announced his plan to take a sabbatical and then return to the faculty at the Kelley School of Business, where he served as associate professor of business law and chair of the undergraduate program. In his role as vice provost for faculty development and diversity, Nieto-Phillips organized an annual workshop on implicit bias and best practices in diversity for IU Bloomington's faculty hiring committees. Now, at least one member of each tenure-track hiring committee is required to take part in the workshop each fall; more than 120 deans, department chairs and faculty committee members participated in last fall's workshop. He also initiated a diversity strategic planning process with all of IU Bloomington's schools, each of which is currently in some phase of creating robust, measurable plans to increase and retain diverse students and faculty while fostering a culture of inclusion. The plans will be submitted over the summer and will be put into action in the fall of the 2017-18 academic year. With support from Robel, Nieto-Phillips has helped double this year's strategic hires of underrepresented faculty and tenured faculty women compared to a year ago. In collaboration with chairs and deans, he has made proactive efforts to retain faculty who are being recruited by other institutions. Additionally, the campus administration has found ways to recognize and reward outstanding faculty, through named professorships or teaching and service awards. "We have promoted a culture of recognition for all of our excellent faculty, both tenure track and non-tenure track," Nieto-Phillips said. The Office of the Vice Provost for Faculty and Academic Affairs also expanded opportunities for faculty professional development. In particular, Nieto-Phillips cites the Scholarly Writing Program, which has grown from 15 people in its first year, 2013, to more than 200 participants in 2017, as well as sponsorship of 45 faculty fellows each year for the Faculty Success Program. That program is conducted by the National Center for Faculty Development and Diversity, which provides access to resources, time management skills and, ultimately, advancement. 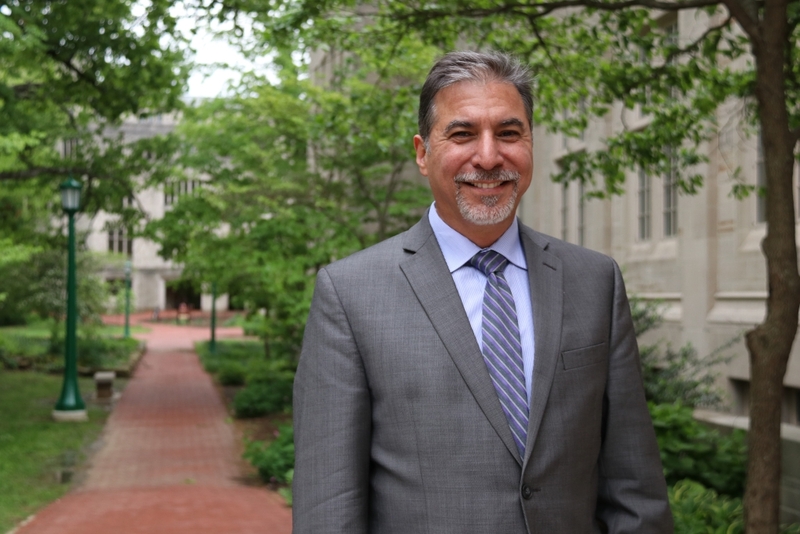 In his new role, Nieto-Phillips will bring together faculty and student diversity efforts under the Office of the Vice Provost for Educational Inclusion and Diversity. All of IU Bloomington's culture centers will report up through this office, and he and an existing working group will continue progress on a campuswide diversity strategic plan. James Wimbush, IU's vice president for diversity, equity and multicultural affairs and dean of the University Graduate School, is looking forward to working with Nieto-Phillips on bringing together faculty and student diversity initiatives. "John's research focus on race and ethnicity help make him a perfect fit for this position," Wimbush said. "We have accomplished so much over the past few years in the areas of student scholarships, mentoring and tutoring, expanding study abroad programs and outreach programs with area schools. I anticipate continued success in these areas and am thrilled to include more faculty initiatives in our work." A historian of Latino and Latina experiences for the past 20 years, Nieto-Phillips has analyzed how concepts of race, language and ethnicity have shaped identity and the changing perception of that identity in the U.S. He has earned numerous grants, faculty awards and fellowships, and has published two books: "The Language of Blood: The Making of Spanish American Identity in New Mexico, 1880s-1930s" (University of New Mexico Press, 2004) and "Interpreting Spanish Colonialism: Empires, Nations and Legends" (University of New Mexico Press, 2005). Last week, he was the inaugural lecturer for the School for Advanced Research at the New Mexico History Museum Auditorium, part of a program to support Latino scholarship. Nieto-Phillips feels fortunate that he was recruited for college, but he knows that if he hadn't been recognized for his athletic ability, he'd likely have started at community college and taken a longer, more winding path. Three of Nieto-Phillips' siblings eventually went on to college, and one completed graduate school. But he'll never forget what it was like being part of the first generation in his family to attend college. "Being at college opened up the world for me," Nieto-Phillips said. "I began as a student-athlete and evolved into a historian, thanks to the mentorship of my professors and encouragement from my family. Now, I want to support other people along their paths, whether they're joining IU as faculty members or as students. I consider it my mission and my calling."